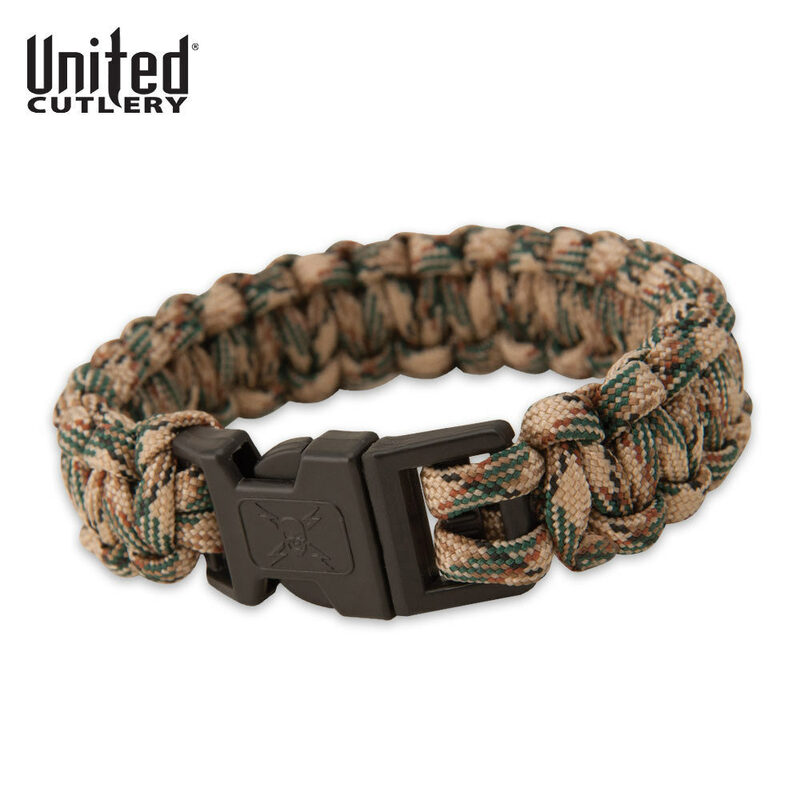 Elite Forces M48 Paracord Survival Bracelet Tan Camo SMALL | BUDK.com - Knives & Swords At The Lowest Prices! This military paracord survival bracelet is hand woven from military spec, 300-lb. paracord. Each bracelet offers strong ABS side-release buckles and fits wrists up to 7" in circumference. The bracelet can be unwound in survival situations to produce more than 9 feet of usable survival cord. It could be used for shelter building, splint building, spear lashing, building animal snares and many other tasks. Only reason i didnt give 5 stars because u cant tell if its ur size or not.